In an elaborate judgment which discusses principles and precedents governing consideration of application seeking direction for a DNA test, a Division Bench of Delhi High Court has held that the strong presumption under Section 112 of the Indian Evidence Act of legitimacy of a child born during marriage can only be rebutted by “strong, clear, satisfying and conclusive” evidence of “non-access”. The Bench comprising of Justices Gita Mittal and I.S.Mehta also observed that DNA test cannot be ordered to gather evidence on behalf of a party who has made a bald allegations of infidelity. The Family court, upon application by Husband, had allowed an application seeking DNA test of the child. 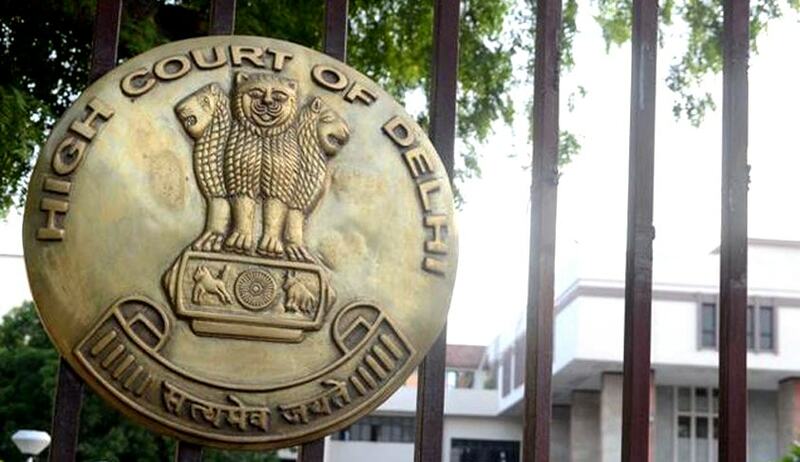 On Appeal by wife, the Delhi High Court, setting aside the order of Family court, observed that, the Husband has made repeated admissions of paternity in his pleadings, affidavit and his statement on oath in support on judicial record and also in public records, which militate against a prima facie case in his favour. This judgment of Delhi High Court exhaustively deals with the case-laws on the subject. The Court has summarized principles governing the consideration of applications seeking DNA tests. Referring to Kamti Devi v. Poshi Ram (2009) 12 SCC 454 : AIR 2009 SC 3115 Sham Lal alias Kuldeep v. Sanjeev Kumar & Ors, the Court said: “The presumption under Section 112 of the Indian Evidence Act can be displaced only by such evidence which meets a standard higher than preponderance of probabilities, and not by a mere preponderance of probabilities. The strong presumption under Section 112 of the Indian Evidence Act of legitimacy of a child born during marriage therefore can only be rebutted by “strong, clear, satisfying and conclusive” evidence of “non-access”. The Court summarized the principles referring to precedents as follows. The DNA test is not to be directed as a matter of routine. Such direction can be given only in deserving cases (Ref. : (2005) 4 SCC 449, Banarsi Dass v. Teeku Datta – para 14). (iv)(a)There must be a strong prima facie case in that the husband must establish non-access in order to dispel the presumption arising under Section 112 of the Evidence Act. (Ref. : (1993) 3 SCC 418:AIR 1993 SC 2295 Goutam Kundu v. State of West Bengal & Anr.) (iv)(b)The court would exercise discretion, only after balancing the interests of the parties and on consideration as to whether for a just decision in the matter the DNA test is imminently needed i.e. as to whether it is not possible for the court to reach the truth without use of such test. For so concluding, the court has to consider materials placed by both parties and the test shall not be ordered in routine for a roving enquiry. The verdict of displacement of the presumption shall not be rendered on the basis of slender materials. If a husband and wife were living together during the time of conception but the DNA test revealed that the child was not born to the husband, the conclusiveness in law would remain irrebuttable (Ref. : (2001) 5 SCC 311, Kamti Devi v. Poshi Ram – Para 11; (2005) 4 SCC 449, Banarsi Dass v. Teeku Datta – para 13). The courts must be inclined towards upholding the legitimacy of the child unless the facts are so compulsive and clinching as to necessarily warrant a finding that the child could not at all have been begotten to the father and as such a legitimation of the child would result in rank injustice to the father (Ref. : Dukhtar Jahan v. Mohd. Farooq [(1987) 1 SCC 624). The Court referred to AIR 1958 SC 79, Martin Burn Ltd. v. R.N. Banerjee, which had observed thus: “27. …A prima facie case does not mean a case proved to the hilt but a case which can be said to be established if the evidence which is led in support of the same were believed. While determining whether a prima facie case had been made out the relevant consideration is whether on the evidence led it was possible to arrive at the conclusion in question and not whether that was the only conclusion which could be arrived at on that evidence. It may be that the Tribunal considering this question may itself have arrived at a different conclusion. It has, however, not to substitute its own judgment for the judgment in question. It has only got to consider whether the view taken is a possible view on the evidence on the record. (See Buckingham & Carnatic Co., Ltd. [(1952) Labour Appeal Cases 490].